Shirley A. Walsh, 81, of Michael Court died Wednesday, May 17, 2006 at Columbia St. Mary’s Hospital – Ozaukee Campus in Mequon. She was born July 6, 1924 in Port Washington to Alvin and Sidonia Boerger Schils. She attended the University of Wisconsin in Madison for nursing and transferred to the Columbia Hospital Nursing Program graduating in 1946. She began working as a Registered Nurse at St. Elizabeth Hospital in Chicago and then moved to Minneapolis to teach nursing and work at Fairview Hospital. While there she met John F. Walsh, MD of Minneapolis, Minnesota and they were married June 14, 1947 at St. Mary’s Catholic Church in Port Washington. After their marriage she returned to Port Washington, living on Hales Trails for many years and worked at the former St. Alphonsus Hospital for many years. When her children were young she was a Girl Scout and Cub Scout leader. Shirley enjoyed sewing and art and took many classes at the Harrington School of Arts in Mequon over the years. She was an accomplished painter recieving numerous awards. She was also active with the Port Washington Womens Club and numerous Bridge Clubs in the area with her lifelong friends. Near and dear to her heart were Maureen Madison of Mequon and Bernie Miser of Port Washington. 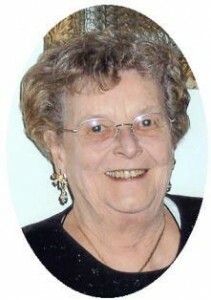 She was a member of the Ozaukee County Medical Auxiliary and the Port Washington Senior Center. Shirley enjoyed worldwide travel, garden and birdwatching. Most of all she enjoyed her family and worrying about them. She loved being a mom and homemaker. She is survived by her children Anne-Marie (Jay) Stangel of Waubeka, the late Maureen (Karl) Hokanson of Port Washington, Barbara (Kenneth) Gehlar of Rhinelander, Patrick (Sharon) Walsh of West Bend, John (Rita) Walsh of Oshkosh, Mary Sue Baumann of Port Washington, David (Marie) Walsh of Elkhorn, Lisa (John Trice) Walsh of Random Lake, Eileen Rahn of Muskegon, Michigan and Deborah Koehler of Milwaukee. Further survived by 16 grandchildren, 3 great grandchildren, sister-in-law Pauline Schils of Myrtle Beach, South Carolina, other relatives and dear friends. Preceded in death by her husband, daughter Maureen Hokanson and brother, Al Schils. The Reverend Patrick Wendt celebrated Mass of Christian Burial Saturday, May 20, 2006 at St. Peter of Alcantara Catholic Church in Port Washington. Interment parish cemetery. A nursing scholarship has been established in Shirley’s name.